She is survived by her husband Fred Marshall; two daughters: Brenda Dickerman and AnnMary Dickerman, both of Worcester; her stepson: Leon Dupuis of Worcester; her stepdaughter: Janet Pasternack of Worcester; her brother: Leo Hebert of Wethersfield, CT; her sister: Gertrude Brothers of Florida; eight grandchildren; eighteen great-grandchildren. Gloria also leaves many relatives and friends; she was predeceased by: her son David Dickerman; her daughter Donna Dickerman; her brother Arthur Hebert, and her sister Rose Donaldson. 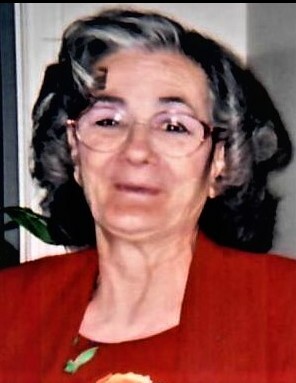 Gloria was born in Worcester, MA on November 17, 1934, daughter of the late Arthur and Ethel (Fletcher) Hebert; She worked, for many years, as a dietary aide for several nursing homes in the area; She will be deeply missed by all who were blessed to know her. All are invited to join Gloria’s family in celebrating her life on Wednesday January 30, 2019 from 2:00 – 4:00 pm at the Graham, Putnam & Mahoney Funeral Parlors, 838 Main Street Worcester, MA.